← A Blast From The Current! 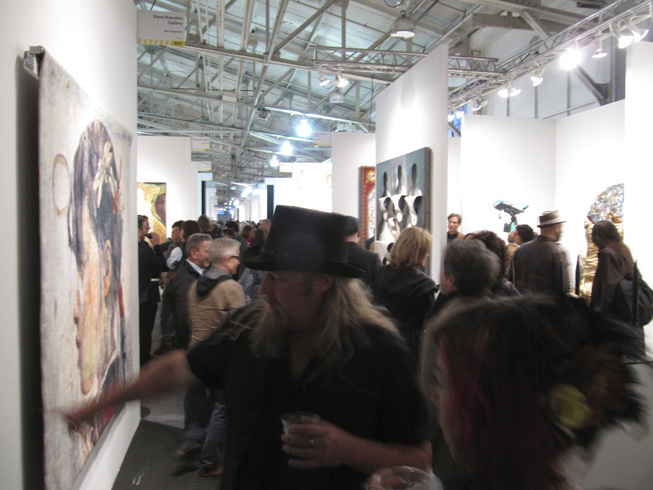 San Francisco was recently host to a big “feast for the eyeballs” weekend of art fairs, with both ArtMRKT and ArtPadSF opening their doors and isles to thousands of patrons and imbibers of free alcohol. If you didn’t have a chance to see for yourself or you want to revisit some choice tidbits, come stroll the endless white cubicles with me and Cartwheel, who kindly asked me to cover the fairs for them. First up: click for ArtMRKT! This entry was posted in Things To Check Out and tagged ArtMRKT, Cartwheel.com, San Francisco art fairs. Bookmark the permalink.